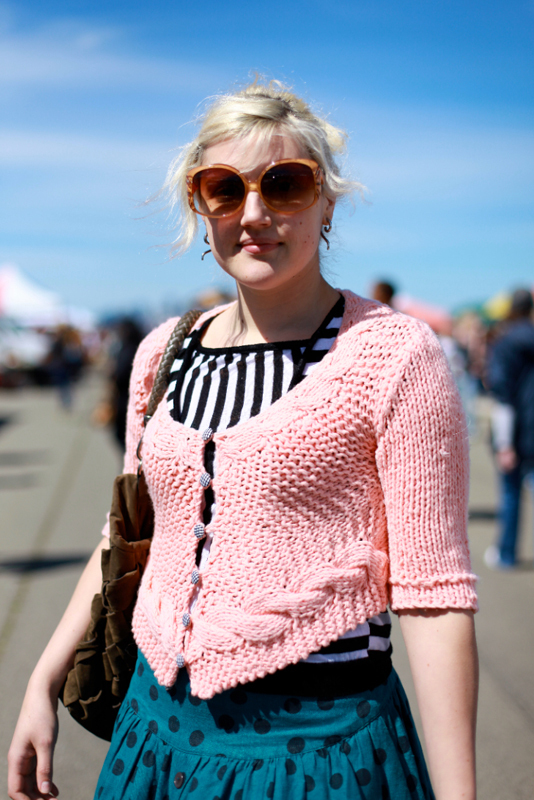 I love her mix of color, texture, and pattern, there is real joy (without costume connotations) in this outfit. The interplay of the black and white stripes, the pink, and the aqua polka dot skirt remind me of vaudeville costumes of yore (see below). 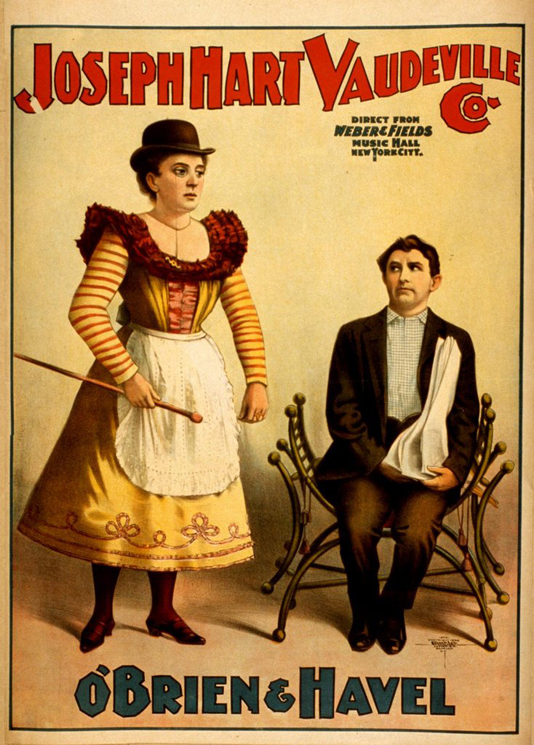 O'Brien and Havel Vaudeville poster. I lost a set of videos during a recent phone microphone problem. 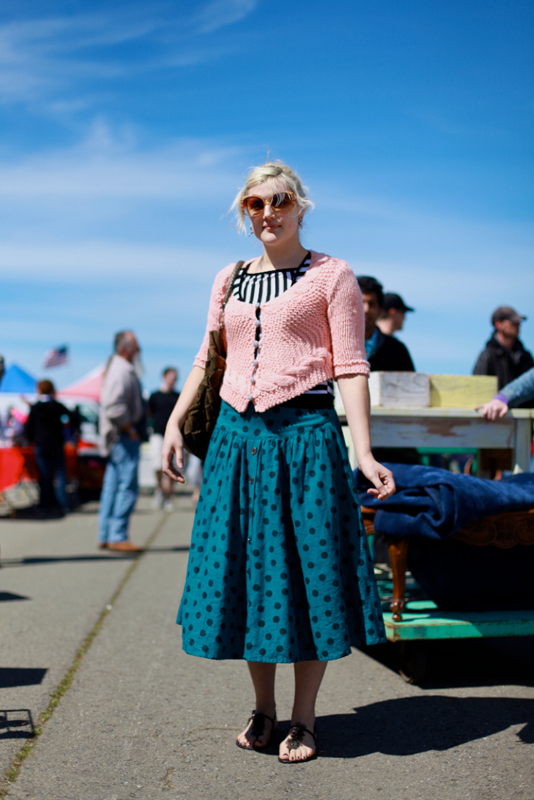 So my latest SF and Alameda Flea Market pictures won't have names/quotes. If anyone would like to leave names in comments, I'd be happy to update. Since I'm on the topic of housekeeping, I still have a lot of Austin photos to fix and videos to transcribe. If yours hasn't been posted yet, there is a high chance I just haven't been able to get to it. And lastly, if you'd like fresh enhanced content and updates, won't you like fashionist's facebook page? Thanks.